On Tuesday, Apple and the U.S. Department of Justice will finally battle over the privacy and security of iPhones before a federal judge in Riverside, California. For weeks, their lawyers have been duking it out on paper. Now they'll present verbal arguments in court. 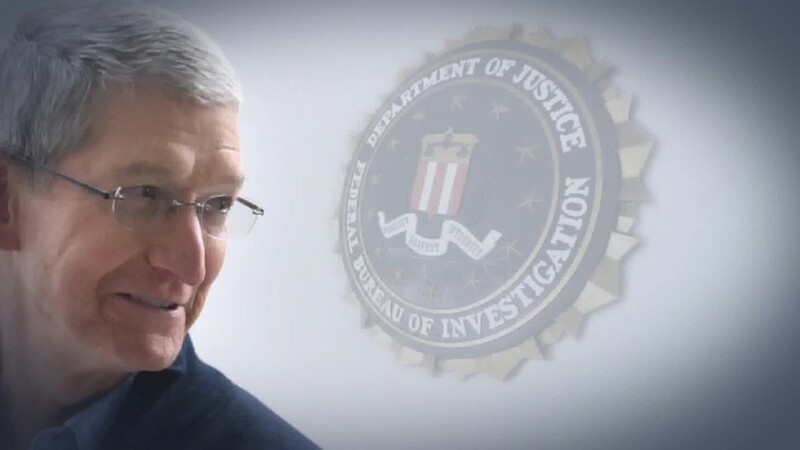 Lawyers representing the Justice Department will argue that a search warrant requires Apple to create software that will help the FBI break into the iPhone of San Bernardino terrorist Syed Farook. They could bring victims of the shooting to the hearing and make an emotional appeal. High-profile lawyers Ted Olson and Theodore J. Boutrous Jr. are expected to represent Apple in court. They'll argue that the FBI's request is a violation of Apple's First Amendment rights The company wouldn't say which Apple executives, if any, would be in the courtroom. The central question is: Can the U.S. government force an American company to write computer code that it doesn't want to? U.S. Magistrate Judge Sheri Pym could make a ruling that very afternoon forcing Apple to comply. It's unlikely, but possible. It's the first round of a major legal fight that could end up at the U.S. Supreme Court. That's why so many want to witness this single event, which is expected to look just like any other iPhone release day: a huge line of people wrapped around the block before dawn. The tiny federal courthouse in Riverside, California said it will be handing out "golden tickets" to the first ones who show up. Only the few dozen people holding golden tickets will be granted entry to the courtroom to witness the pivotal legal battle. Among those lining up: news reporters from around the country, legal scholars and lawyers representing key industry and advocacy groups. It all started with the San Bernardino shooting that killed 14 people in December. Farook destroyed two personal devices but left his work-issued iPhone 5C intact and locked. The FBI is searching for clues of similar ISIS-inspired terrorist plots. Apple (AAPL) quickly helped recover information Farook stored on iCloud. But there's information that wasn't backed up on iCloud that government investigators are still trying to get. They hope to do that by cracking the iPhone's passcode. FBI agents can't risk doing that right now, because if the phone's protective self-destruct feature is turned on, it will render the data unreachable after 10 wrong passcode attempts. Federal prosecutors want Apple to create a weaker version of its iOS software and inject that new code into the Farook's iPhone. That will allow law enforcement to try as many combinations as it takes to break in. On Feb. 16, Magistrate Judge Pym agreed. She issued an order compelling Apple to assist the FBI. Since then, the legal fight has gone back and forth. Both sides are expected to appeal any decision, so expect a long fight. A similar fight is playing out in Brooklyn, where Apple has won a crucial decision. That one is on appeal too. Tuesday's court hearing is Episode One in a long saga.